that I located while trying to locate a bigger woodpecker that was making a much louder banging than this little woodpecker was capable of producing. 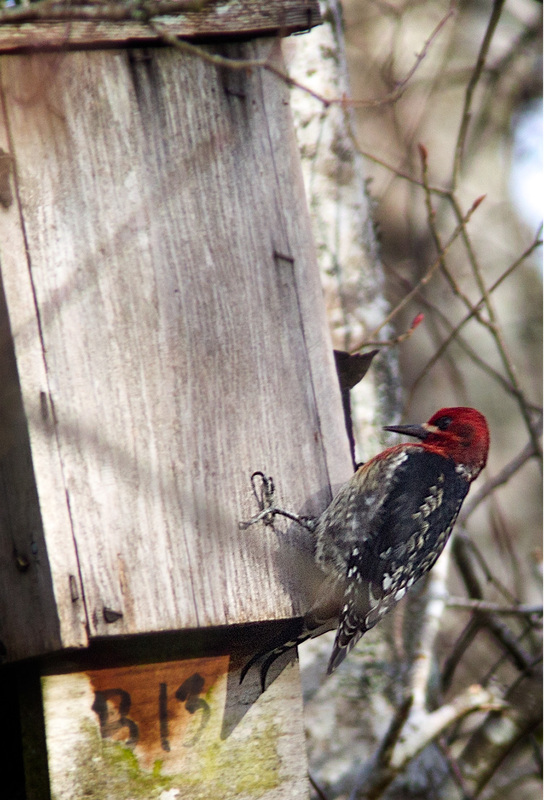 The woodpecker I was looking for instead turned out to be a Red-Breasted Sapsucker that was amplifying his pecking by pounding on this birdhouse. 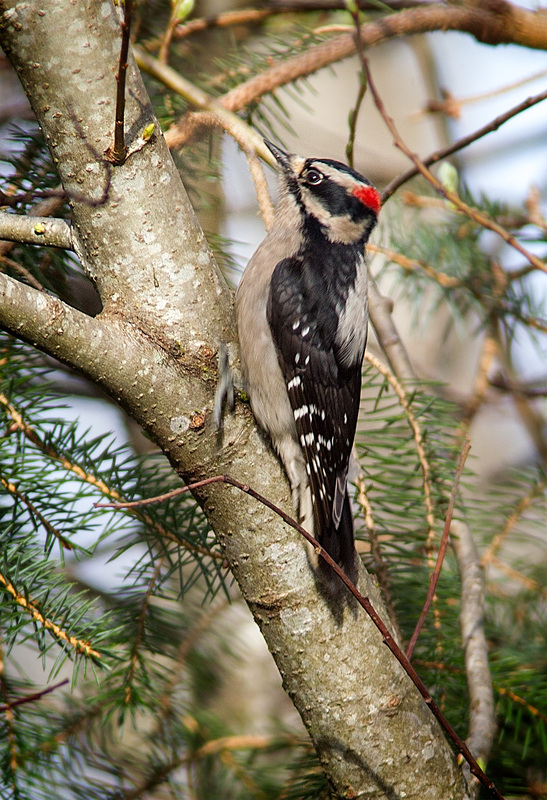 I’m quite familiar with Red-Shafted Woodpeckers who use anything they can find to amplify their mating “calls,” but I had no idea that Sapsuckers used the same trick. 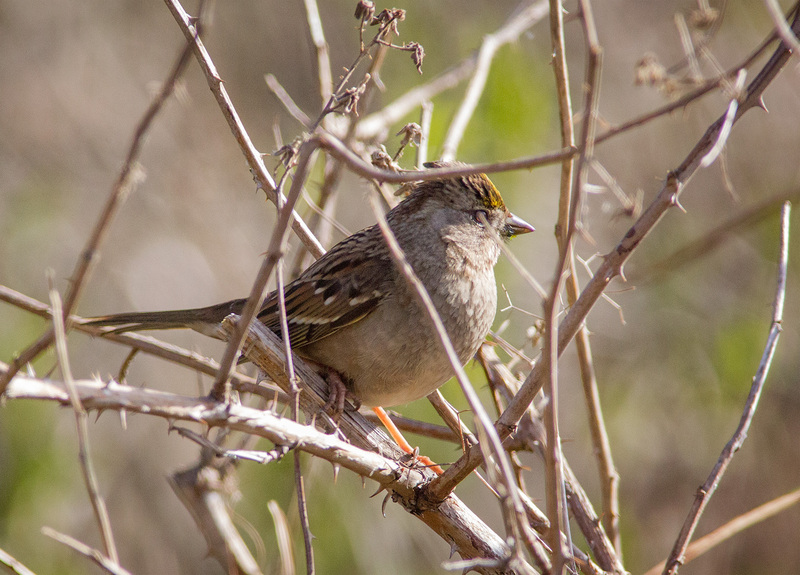 Our recent warming has led to an influx of songbirds like this Golden-Crowned Sparrow. I particularly enjoy trying to capture shots of small songbirds because they are much more challenging than Geese, Great Blue Herons, or most ducks. 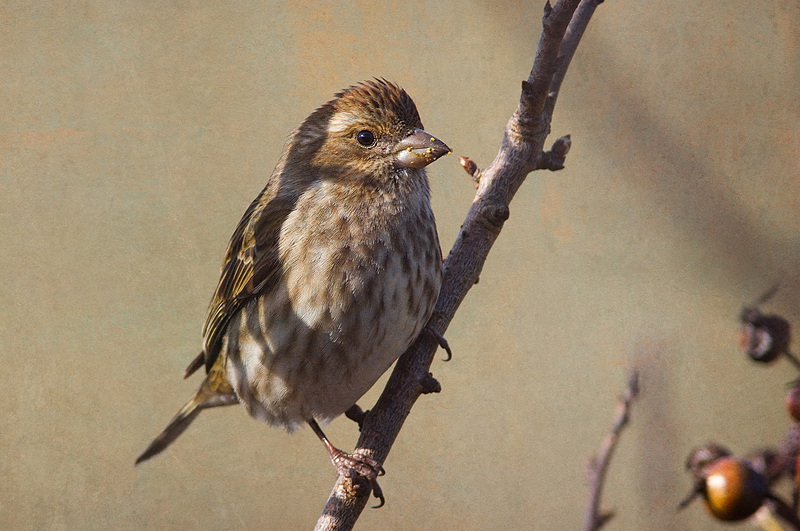 They constantly flit about; when they’re not flitting, they’re usually perched in shrubs that make it difficult to focus. 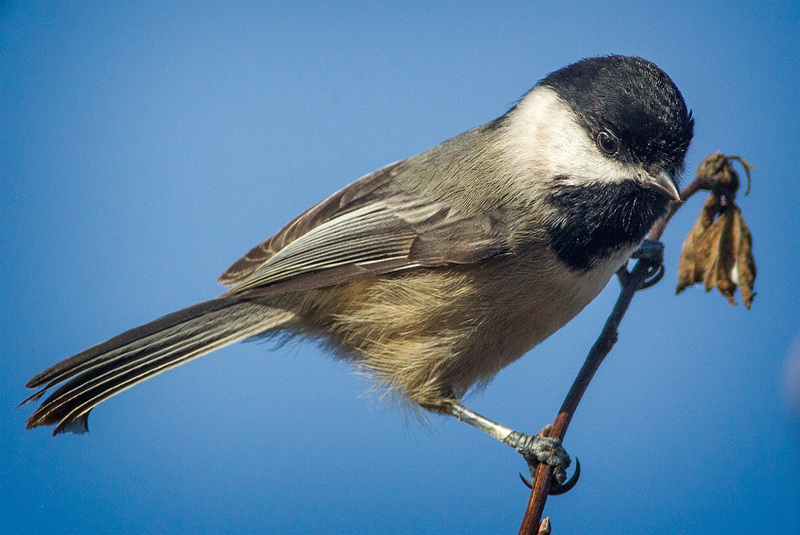 and this Black-Capped Chickadee both did. Of course, you hear a lot more songbirds than you ever see; there’s been a virtual chorus of songbirds my last few visits to Theler.